I have Lent on my mind right now. I'm determined not to let it sneak up on me this year. In a few days the Christmas decorations will be coming down and I've been telling myself that when the Christmas decorations come down it will almost be Lent, so that hopefully I won't turn around one day and find that it's suddenly Ash Wednesday. You wouldn't think that a forty day chunk of the year could be so stealthy, but somehow it is. Can I blame the children for this one? Somehow I think they make time go by far more quickly than it used to before they arrived... and holidays become far more sneaky. Take Advent and Lent. They seem to come out of nowhere every single year, no matter how well I watch for them. Although I can't totally say it's taking me by surprise this year (as this post demonstrates). It's already paczki season around here and Paul already brought a delicious box of the pastries into our house, which I'm pretty sure is an extra penance for me, since he's the only one who doesn't have a diet that includes either a gluten or dairy restriction. He may have enjoyed talking about eating them as much as he enjoyed eating them. Anyways. I digress. Back to Lenten planning. 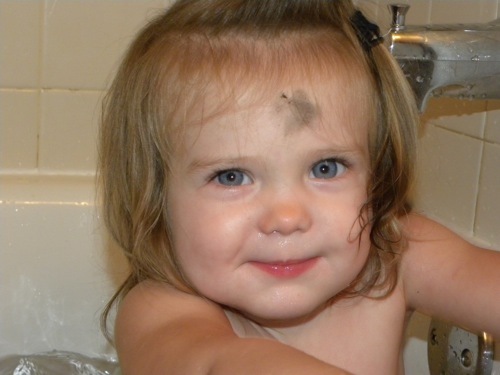 It will be Ash Wednesday before we know it. I would really like to find this book... but it's with Paul's theology books, which are still in boxes down in the basement, where they eagerly await the day when we move into a house where they can once more have a bookshelf (or ten) of their own. But I don't think that's going to happen before Lent, because there are far too many boxes of books down there. Today Paul asked me what I was giving up for Lent and I said I was thinking of giving up humus. If you don't know me, that might not sound like a huge thing, but ever since the allergy saga started a couple years ago and our diets changed drastically, I've been kind of obsessed with garlic humus, especially the giant tubs of it they sell at Meijer, in a maybe not entirely healthy way. So humus would be way more of a sacrifice than candy or ice cream or just about any other food that I can think of (if you'd told me that two years ago I wouldn't have believed it). A couple of years ago we had a jar where we added a bean every time one of the kids (in this case Sadie, since she was the only one old enough to understand) did something helpful or kind or sacrificed for someone else. 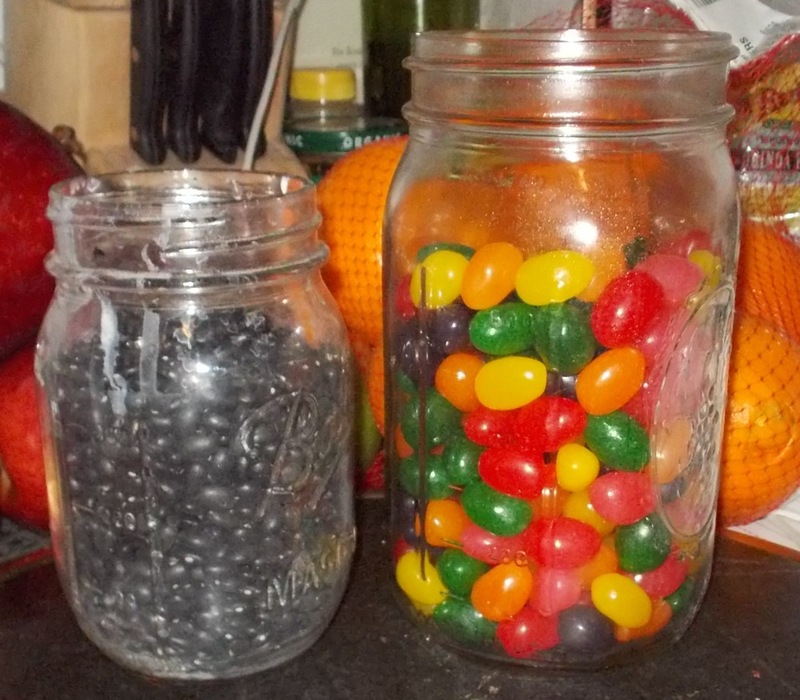 On Easter morning the beans were replaced with jelly beans. 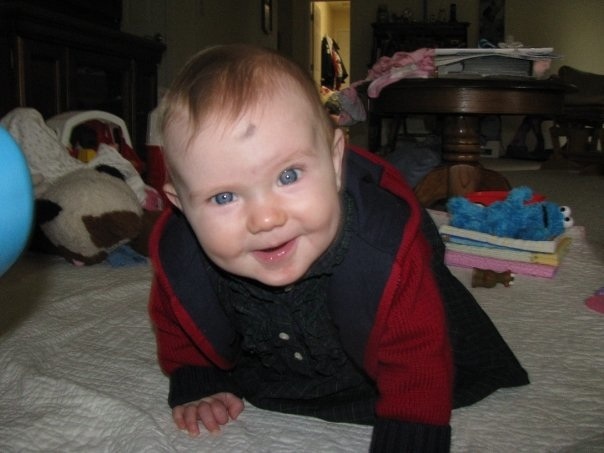 Sadie has already been hinting that she hopes that's one of Lenten activities this year and I think it will be. Holy Heroes Lenten Adventure will definitely be a part of our Lenten religious studies as well. Also, if you follow that link you'll see that they have a countdown to Lent, which, if you went to it right now would tell you that Lent is some 19 days away. I'd also like to really commit to a time each day when we start praying again as a family, and reading the Bible together. We've done that for years at a time in the past, but during law school it was hard to have any sort of set time to do anything... and it's a habit I'd like to reintroduce. I guess one of the main ideas I'm considering is seriously committing to doing 40 bags in 40 days this year. I began decluttering during Advent and have made some progress, but I still would really like to focus on simplifying our home and continuing to get rid of the things that we don't need, so I'm really hoping I can actually follow through on finding forty bags of stuff to donate/get rid of during the days leading up to Easter this year. Those are the main ideas I'm just beginning to kick around right now. Have you started coming up with any ideas for Lent this year? And are there any you'd like to share to help inspire others (like me!)? That sounds really neat! Is that like a paper chain with names on it where you pray for someone each day? I can definitely see Sadie getting into something like that! Yup, either a specific person or a general intention. When I had them come up with intentions it was kind of amazing and hilarious - John Paul's were like, "For the conversion of China" and Cecilia's were things like, "For all the people who have kitty cats." Oh man, remembering it makes me excited to do it again! I can just imagine what our kids would come up with! I am definitely going to have to add this to the list!